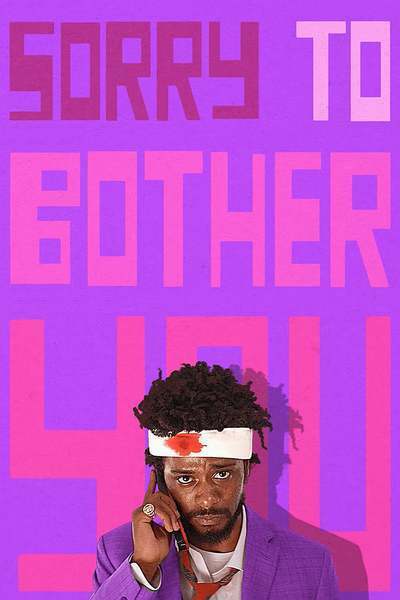 Boots Riley’s “Sorry to Bother You” is an adrenalin-shot of a comedy and a fearless dissection of identity politics, corporate malevolence, and the American tendency to look the other way when confronted with horror. In this brilliant satire, people gather around their TVs every night to watch a show called “I Got the Sh*t Kicked Out of Me” and embrace a new lifestyle called WorryFree, which is very clearly corporate slavery advertised as something good for you. There is so much to unpack here in a film that recalls Terry Gilliam, Michel Gondry, and Jonathan Swift, but it is basically the story of a man forced to finally see the injustice around him. Riley’s movie is designed to do the same thing to you. Pay attention. Don’t worry. “Sorry to Bother You” is no message-heavy, standard social commentary flick. It is a hysterical comedy, one of the funniest movies of the year. Just as in the music he created with The Coup, the message never gets in the way of the rhythm. Riley’s film wants, first and foremost, to entertain you, and it almost certainly will do that, especially if you’re willing to go with it on a funky journey, no matter where it takes you. The great Lakeith Stanfield does his best film work to date as Cassius “Cash” Green, a young man wondering, like so many, what he’s doing in life. Early in the film, we catch him talking with his girlfriend Detroit (Tessa Thompson, who simply makes everything she’s in better) about the common human dilemma when one considers the impact they’re making in the world. So many of us live check to check and struggle to stay alive much less make a difference. Cash wants to do something important. He will. His life changes when he gets a horrible telemarketing job at a place called RegalView, a company that sells those relatively worthless encyclopedia books that some people have on their shelves but few people ever read. When he’s advised by a colleague (played by Danny Glover) to use his “white voice,” Cash starts to move up the corporate ladder quickly, eventually getting access to the golden elevator taken only by the “power callers.” The men and women who work on the top floor—where only the “white voice” is allowed—don’t sell books. They sell things people really shouldn’t be selling, and Cash is good at that too, drawing the attention of the maniacal Steve Lift (Armie Hammer) and the disgust of Detroit and his fellow co-workers, who have been struggling to unionize for worker’s rights. There have been stories of men who sold their souls for success since people put pen to paper, but Riley loads his Faustian saga with enough social commentary to fill a dozen comedies. Every scene feels like it works on multiple registers. It’s much harder than it looks to make people laugh and think at the same time, and it’s that ingenious balance that makes Riley’s script for “Sorry to Bother You” so special. It never loses sight of its need to entertain along with the fact that it serves as a wake-up call for viewers to ask more questions about their priorities and those of people in power. It’s also cinematically striking, especially for a debut. From the fantastic costume design to the visual flights of fancy—such as when Cash and Detroit’s garage apartment literally transforms as Cash makes more money and a literal nod to Gondry in a corporate Claymation video—“Sorry to Bother You” has a confident visual language that so much comedy lacks. Great satires don’t hold back, and Riley turns most of his choices up to 11. For example, he could have had Stanfield mimic a “white voice,” but he dubs Stanfield with another actor. From the beginning, he’s making clear that this is an exaggerated, insane world—a funhouse mirror version of our own that only film could provide. That riskiness leads to a final act of insanity that will lose some people—both times I’ve seen the movie you could sense part of the theater tuning out as the movie takes a turn into sci-fi. For me, I love it when a filmmaker doesn’t pull back from the edge, but goes right over it. So while that part of the film may be weaker than what came before, I still respect the willingness to go there. You’ll see a lot of movies this summer that feel like the product of focus groups and marketing teams. Every frame and choice in “Sorry to Bother You” feels like the opposite—a pronouncement of a major new talent. I can’t wait to see what he does next.